with more than 4 decades of experience. The road to a more profitable business begins here. At LTTR, we are committed to helping you increase your business's ROI via strategic PPC, SEO, and Social Media campaign management. The time to grow your business is now, and Look to the Right (LTTR) will help! We take the time to learn about your business, your business & sales goals, target audience and competitors. Then we help you create a unique, comprehensive online marketing strategy that involve one or more areas of Internet marketing - from Organic, Ethical SEO to PPC/Paid Search Campaigns, Social Media, and more. Brands and businesses trust LTTR to deliver tangible sales results. 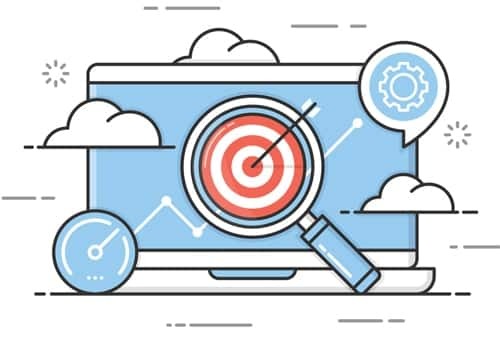 To that end, we use some of the most advanced tools, software & techniques the industry has to offer in order to help us better analyze the performance of your online marketing campaign(s) and make adjustments and optimizations daily, weekly and quarterly. SEO is 'High Tech' Work make sure you choose LTTR! Your business sales success is our business success. Our talented team of professionals are Google Certified in Google Ads/AdWords and Analtyics. We analyze the performance of your online campaigns and extract actionable data to help us implement positive changes. We don’t just drive traffic. We drive sales! Call or click today to set up a free consultation. When it comes to managing your website, choose a company that has built its reputation on outstanding service, professional skills and the proven expertise to effectively grow your ROI. Succeed more in PPC, SEO, Design+Development. Fill out our simple form below Now. Copyright © Look To The Right, LLC, 2006 - 2019 All Rights Reserved & Enforced.